It’s another fabulous day for chatting about healthy low-carb living with our friends Mark Jeacoma and Tina Langston in Episode 398 of Low-Carb Conversations with Jimmy Moore & Friends! Our co-hosts Jimmy Moore and Mindy Noxon Iannotti packed in the conversation with their guest friends today discussing Paula Deen’s recent announcement that she has Type 2 diabetes, the misinformation that has been spread around out there about what causes diabetes (NEWSFLASH: it’s NOT the butter! ), the New York Times column “The Fat Trap” by Tara Parker-Pope that says attempting weight loss is futile and Gary Taubes’ response to that column adding back in a bit of reality to the discussion. Plus, don’t miss our recipes at the end for delicious low-carb crackers and muffins made with flaxseeds! 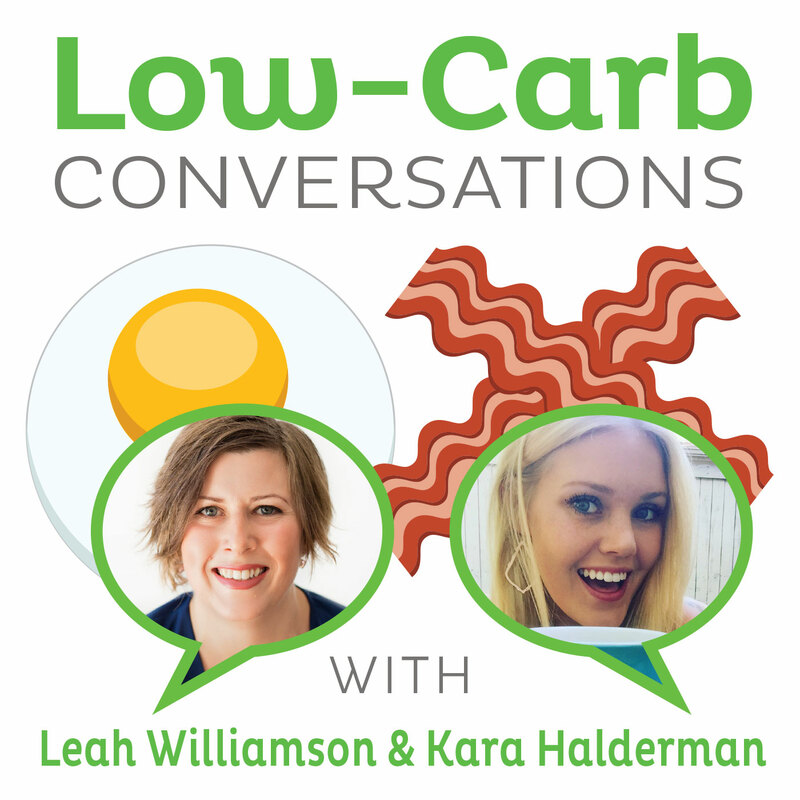 So pull up a chair, grab a cup of coffee and let’s talk about it on the Virtual Porch gabbing away about the health headlines of the day from the low-carb perspective. A great high fiber, crunchy, nutritious, and tasty snack. Good with dips, spreads, or plain. 1) Mix all ingredients together. 2) Spoon onto sheet pan which is covered with a silicone mat or greased parchment paper. 3) Cover the mixture with a piece of parchment or waxed paper. Even out the mixture to about 1/8 inch. I find a straight edge, like a ruler, works well, though you can use a rolling pin or wine bottle too. The important thing is not to let it be too thin around the edges or that part will overcook before the center firms up. So after you spread it out, remove the paper and go around the edges with your finger and push the thin part inwards to even it up. 4) Bake until the center is no longer soft, about 15-18 minutes. If it starts to get more than a little brown around the edges, remove from oven. Let cool completely – it will continue to crisp up. The whole recipe is 6 grams of effective carbohydrate plus 35 grams of fiber. 1/4 cup cooking oil plus 2 T.
Beat eggs and other wet ingredients well. Add dry, mix to combine. Let the batter sit for about 5 mins. Spoon into 12 greased muffin tins, bake @ 350- for 12ish minutes… I overbake mine slightly… they are almost crunch when they first come out but then soften up a little bit – I eat these over a course of like 4-5 days so I dont like them to turn to total mush. I make these as mini muffins and freeze them as I would not want anyone eating the whole lot over a few days. Drink plenty of water when eating items made with flaxmeal.